CD Projekt Red has already discussed how the world of The Witcher 3 will be huge, but in an interview with VG24/7 they specified just how much it has grown. According to gameplay producer Marek Ziemak, we’ll be fighting off hideous beasts in a world that’s roughly 35 times larger than The Witcher 2. The world is around 35x bigger than Witcher 2 and each location is different. We’re putting effort into creating unique elements in this world and producing various points of interest. We believe these things make a world more attractive and interesting. There are a few different kingdoms or relics you can visit as you travel through the game. All of them are connected and part of one coherent experience. Ziemak continued, explaining the studio’s attempts to create a seamless yet diverse world. There are no loading screens and the transition between areas is smooth. But there are also moods in each area that feel different. For instance, skeletal moods inspired by Celtic and Norse mythology. There’s also a huge city inspired by medieval Amsterdam, There’s plenty of cloak and dagger from the books, some featuring the mafia and all dark businesses being done in background of story. There are plains called No Mans Land, a ravaged territory run down by war and totally destroyed. This is just an example of the huge diversity and emotions in places. The world of The Witcher 2 is definitely big, but it still feels confined, with very clear borders limiting each zone. With the transition to a more Skyrim-like open-world, we can hopefully expect something far greater. 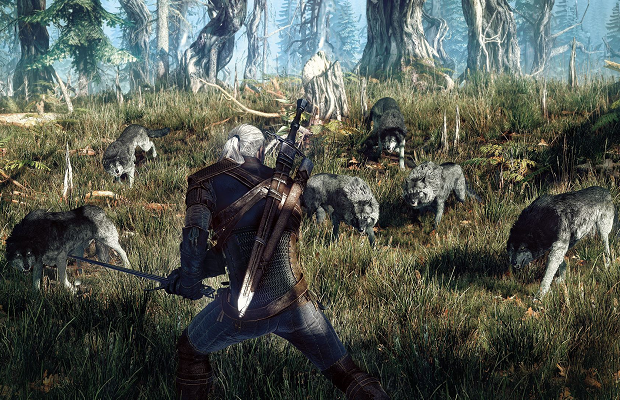 The Witcher 3 will launch sometime in 2014 for the PC, PS4, and Xbox One.